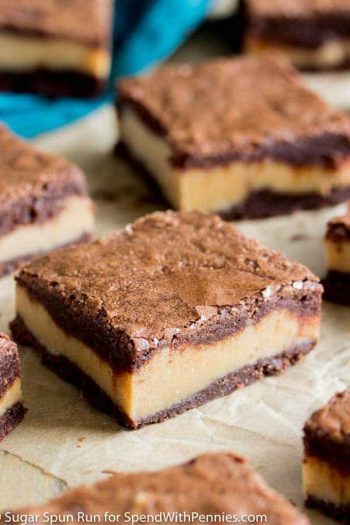 PB & Chocolate… something about it is just so… right! 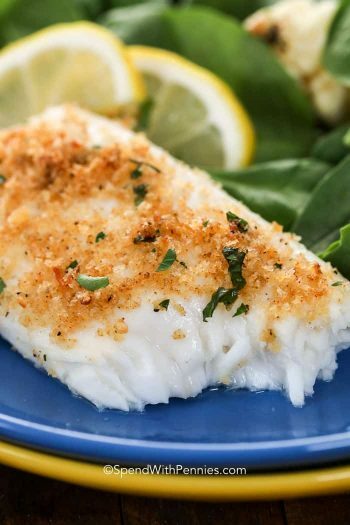 You won’t believe how quick and easy this recipe comes together! 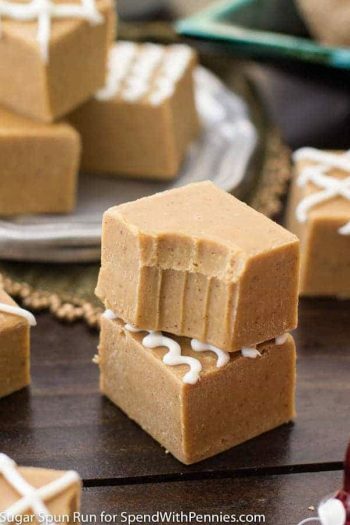 Just a few simple ingredients and a microwave and you’ll have some of the fastest tastiest fudge out there! This is super simple and sure to be a hit with everyone! 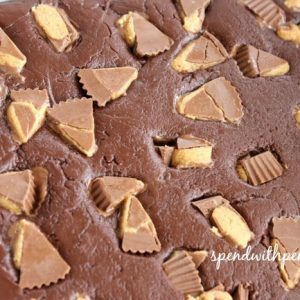 I have actually been making simple fudge with sweetened condensed milk for years (the recipe came from the can of milk)… but the peanut butter cup… that part is new. When I saw the peanut butter cup idea over at Crazy for Crust, I knew I had to give it a try! 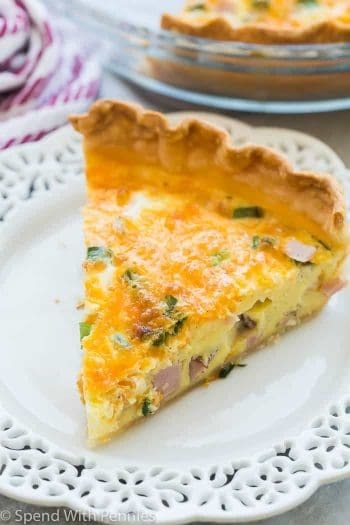 It was truly delicious and easy! 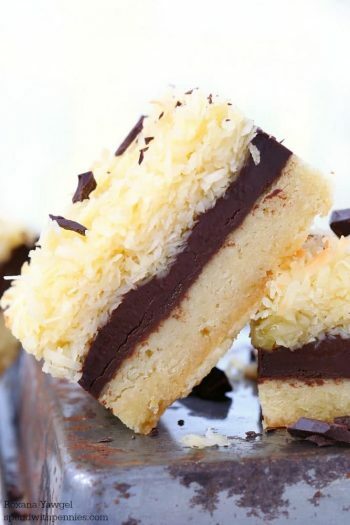 You will not be disappointed with this recipe. Well, you might be. You might be disappointed that you didn’t make more! 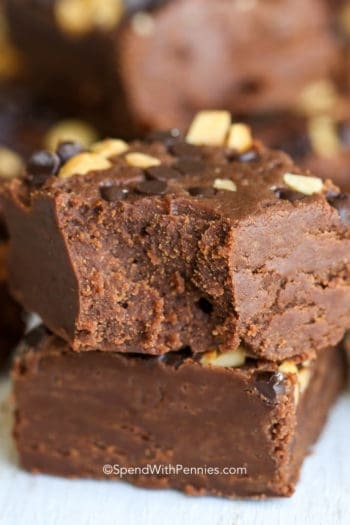 Just a few simple ingredients and a microwave and you’ll have some of the fastest tastiest fudge out there! This is super simple and sure to be a hit with everyone! Melt chocolate chips and condensed milk in the microwave by heating for 1 minute then stirring and repeating (probably 3-5 minutes depending on your microwave). Spread melted chocolate over peanut butter cups in the pan. 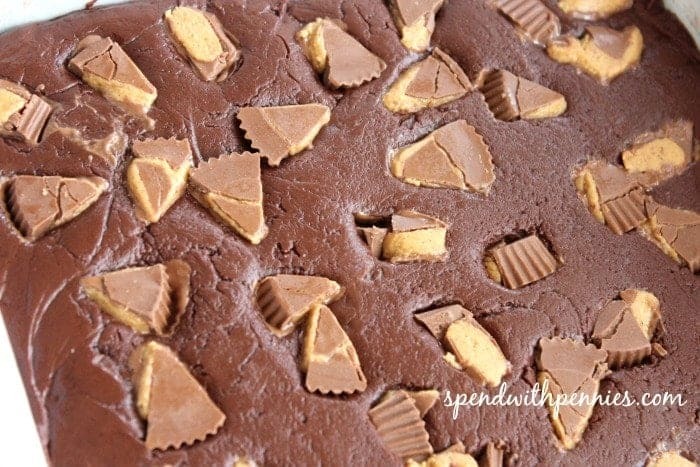 Cut or break up remaining 4 peanut butter cups and sprinkle evenly over pan, pressing lightly into the fudge. Refrigerate to set, then cut into squares.